"Hey, if everyone else is gonna tour, why not me." Mike McCready's side project, UFO cover band, Flight to Mars, has announced a 7-date, West Coast tour for this May. The tour coincides with that band's 10-year anniversary and the proceeds benefit Crohn's and Colitis Foundation of America's Camp Oasis and Advocacy for Patients with Chronic Illness. Visit Flight to Mars' Facebook page for more info. The 9/11/11 Toronto bootleg is now available on pearljam.com, making the Canadian leg of the 2011 tour now entirely available for purchase. On top of that, the Ten Club is offering 10% off all bootlegs. All you have to do is use the coupon code "Boots10off" at checkout. The coupon is available for use to Ten Club members and non members alike, and is good for MP3, FLAC, and CD copies. The offer expires March 9th at midnight PST. 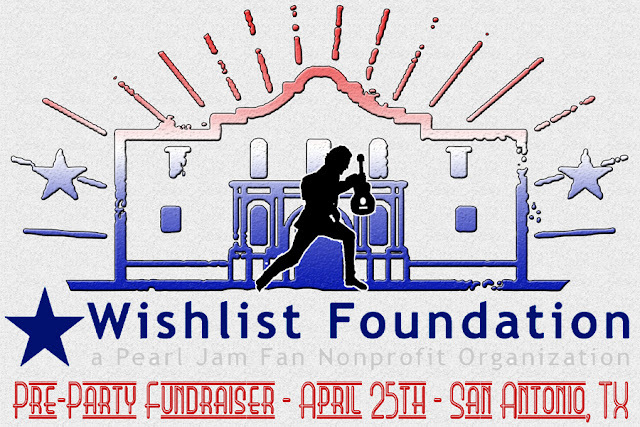 Pearl Jam's 2011 poster sale is also continuing. The poster for Sao Paolo 11/3/11 will go on sale March 1st between 9 am-11 am PST. 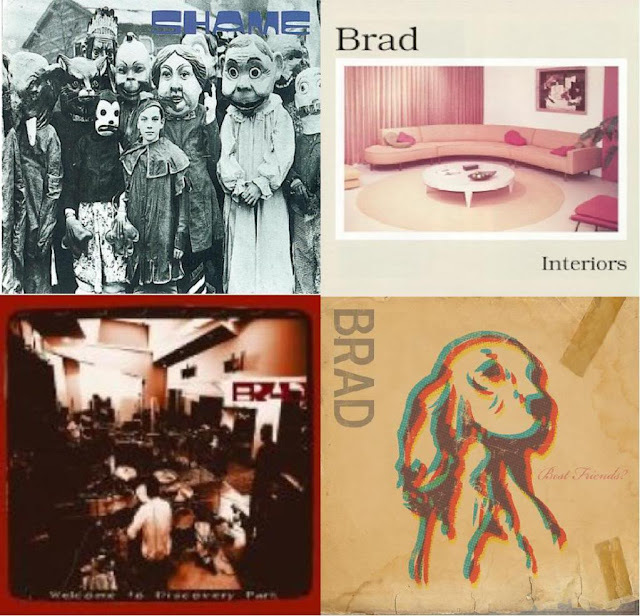 In case you missed it like we did, Razor and Tie, Brad's new label, will be reissuing Brad's full catalog this year as deluxe editions. You may have noticed that Gremmie.net has been MIA for a little while. They've returned today with a revamped layout, more bands, and streamlined features. the first thing you noticed. We have radically changed the color scheme and layout of the dot net. Instead of saturated blues and oranges that will make you go cross-eyed if stared at for long enough, we’ve switched to soft greys and whites as the primary colors. We are now using an “easier on the eyes” shade of blue and the same trusty orange, just less of it. We hope you find these changes make the site easier to look at. Need an Ed fix? Jack Johnson's Best of Kōkua Festival CD won't be out quite in time to warm everyone up for Ed's tour, but most of us are in luck. Look for Ed to be featured on two tracks of this April 17th release, Constellations, with Jack and Kawika Kahiapo, and I Shall Be Released, with Jack and Zach Gill. Just in time for Earth Day, Brushfire Records will release "Jack Johnson and Friends - Best of Kokua Festival" on April 17. 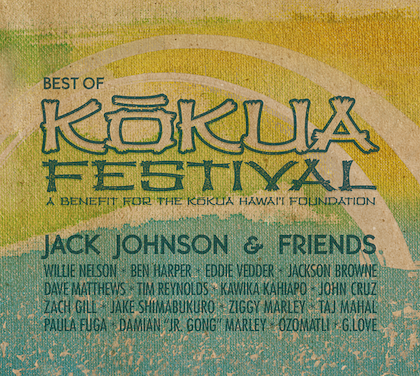 The album features a 13-track compilation of live performances from Jack Johnson’s benefit concert for the Kokua Hawaii Foundation. Proceeds will benefit the Kokua Hawaii Foundation. 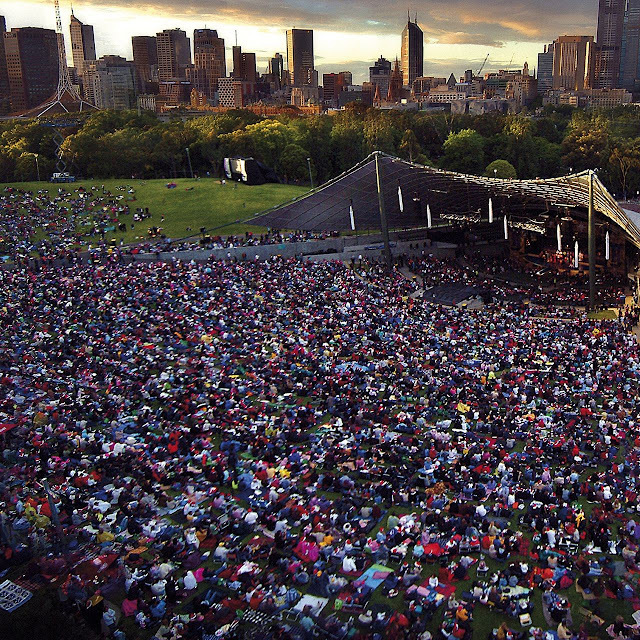 Culled from six years of his eco-minded music festival, the album highlights onstage collaborations with musicians like Willie Nelson, Jackson Browne, Eddie Vedder, Ben Harper, Dave Mathews, Ziggy and Damian Marley. I got back from a vacation this evening to the horrible realization that I missed big news. My "Pearl Jam" RSS monitor had blown up about Pearl Jam's rewritten lyrics for Jeremy. Of course, I can't say that we didn't predict this. Today the Ten Club sent its members an e-mail about everything that has been going on lately. You have heard everything here except for a contest and the details on the 2011 Poster Sale starting tomorrow! Check out the details below. The first poster to be sold will be the Toronto 9/1/11 Poster. Limit 1 per current member. QUANTITIES ARE LIMITED. THERE IS NO GUARANTEE THAT EACH MEMBER WILL BE ABLE TO PURCHASE A POSTER. POSTERS ARE NOT FOR RESALE. 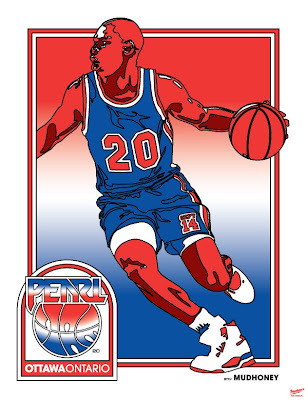 POSTERS WILL ONLY BE AVAILABLE ONLINE WHILE SUPPLIES LAST IN GOODS SECTION. Posters will be sold in random order beginning with Toronto 9/11. Sales will happen between 9-11am PST. Posters are $30 + shipping ($7.50 US/$11.00 WORLD). POSTERS ARE SHIPPED SEPARATELY. 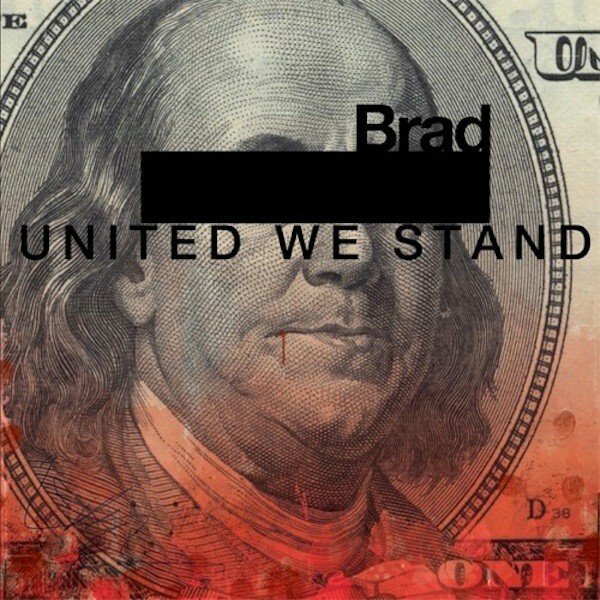 Brad's new album, United We Stand, will be released on April 24th. If you share your e-mail address on Brad's website, you can get a free download of the first single, A Reason To Be In My Skin. The band has also announced three West Coast dates in support of the album. "After 20 years as a band, BRAD's brotherhood remains intact and vibrant. I couldn't be more excited about our latest opus," explains BRAD’s Stone Gossard. He continues, "A year and a half in the making, United We Stand (our fifth record) is our combined and loving collaboration. We hit all the stops, down beat grooves, soaring vocals, and riffs galore. We're in this bad boy for the long haul people. So get ready." Vocalist Shawn Smith adds, "Thankfully, as a band, or more importantly as individuals, we have not lost our spark, our desire to do more than just 'get er done.' The new record is a testament to a band in its 20th year, a band that started with three friends getting together one afternoon to jam." BRAD will tour in support of the new album this spring. Tickets go on sale on Friday, February 24th on the band's official website. Last night, Mike McCready attended the Las Vegas premiere of MJ the Immortal, a Cirque du Soleil homage to Michael Jackson. Here is what he had to say according to Central Florida's News 13. ALLISON WALKER: How has Michael’s music affected you and the music you put out? MIKE MCCREADY: In terms of Michael Jackson’s music, it has affected me – it’s certainly an emotional, beautiful type of music that I’ve always kind of gravitated toward. His voice is fantastic. I’ve always loved the Jackson 5 when they had the TV show on as a kid. We, as a band – as Pearl Jam – have covered a song called Someday at Christmas that Eddie [Vedder] was very into as a young boy, so we love him. We love his music. 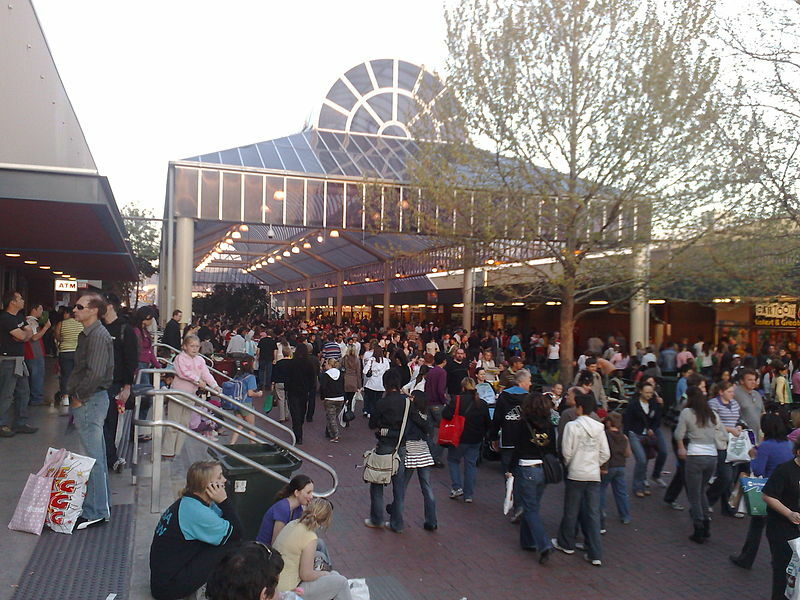 ALLISON WALKER: Do you come to Orlando ever? MIKE MCCREADY: We will. I promise you we’ll come back. I promise. We have not been to the south for a while. We need to get back there. I promise you we’ll do that. We are expecting Pearl Jam to head back into the studio next month. Now, thanks to Grunge Report, we have a bead on at least one band member next month. Of course, the second appearance is far from Seattle, but by that point Ed will be warming up for his US tour anyhow. MARCH 5: KEXP presents an in-studio session with mike McCready & Star Anna! Performing live on The Afternoon Show at 3pm. MARCH 30: Shadow, live in San Jose, Costa Rica with Duff McKagan. Here's the newest episode of GTC... More music/less talking... Don't forget to send in your correct answers for this episode's Trivia Contest... Winner gets a copy of VS CD... Good Luck!!! By popular request, here is the "Binaural" episode! 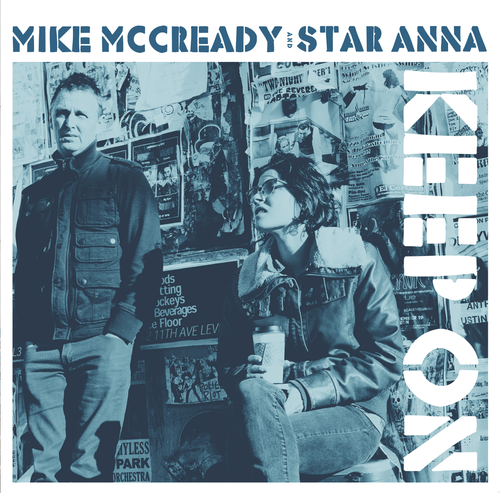 Mike McCready has written a new song called Keep On that he recorded with Star Anna. The song is available for download from the goods section of pearljam.com as well as iTunes. Also available is Star Anna's new single, Call Your Girlfriend. Stone Gossard and his dog Bassey were at Crestwoods Park in Kirkland, Washington last Saturday to help with a reforestation effort. Gossard spoke with local paper the Woodinville Patch about upcoming Pearl Jam plans. The guitarist says the next Pearl Jam album is still in the formative stage, adding the band is "not sure what it's going to be yet". Not much to stop the presses, but since the album is only in its formative stage, and the band will be busy touring Europe this spring, it seems like a 2012 release date is unlikely at best. No word on Bassey's contributions. The latest episode of the PJ show, The Unboxing of Live on Ten Legs, is now available. Organizers of the the Isle of Wight Festival have announced that they intend to broadcast the festival in 3-D. Upgrade your televisions now. Yes, Bruce Springsteen is in 3-D when you see him live in concert, but on TV he’s usually in the same boring old two dimensions as everything else on TV. But not so this June, when the Isle of Wight festival — which Springsteen is headlining along with Pearl Jam and Tom Petty — broadcasts in glorious 3-D (through your 3-D compatible TV set, natch). The Isle of Wight Festival is set to receive the three dimensional treatment this year after Sky Arts announced that it would broadcast the event in 3D. 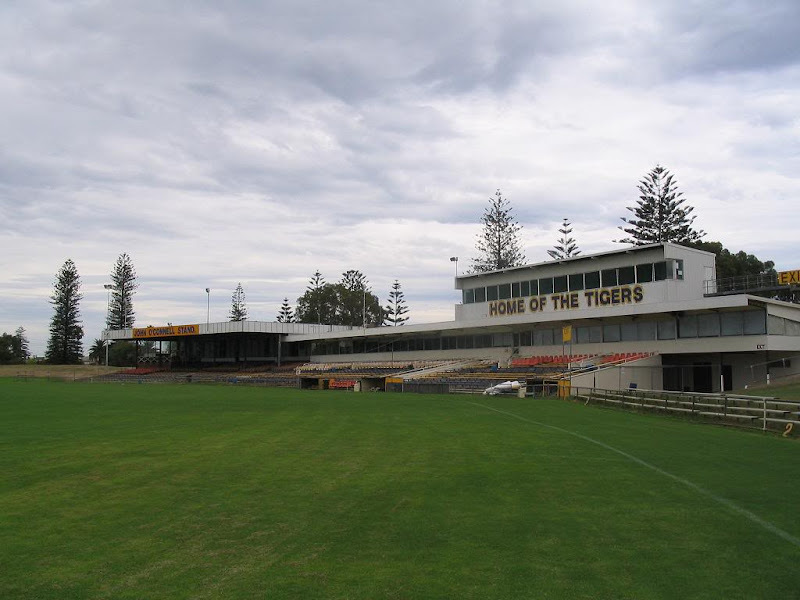 It means you’ll be able to see the likes of Pearl Jam and Bruce Springsteen up close and personal, who are set to headline the festival in June. Green wants to use the festivals to expand the language of 3D. In capturing the festival experience, she wants to convey the size of the crowd with expansive wide shots, but also plans to use close-ups to capture the intimacy of some aspects of the performances. Currently broadcast is only scheduled for Sky Arts 1 and Sky 3D in the U.K., but after lugging all that equipment there I can’t imagine it won’t be broadcast in the States as well. More to come! For a measly two bucks you can check out two songs by Boom Gaspar's band, Po & the 4Fathers. Digital downloads are available via Ten Club or iTunes. 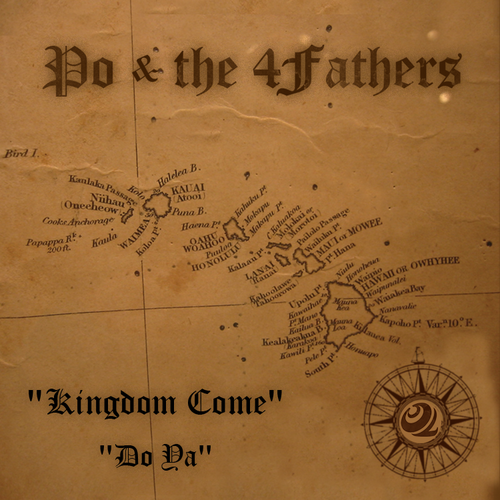 Po & the 4fathers are Boom Gaspar (keyboard/organist), Kalei Young (bass and drum rhythms) , Roman Corpuz (lead guitar/vocal harmony), Kawai Hoe (vocals), Kiliona Young (vocals). In 2010, a crew of Hawaiian all-stars - including Boom Gaspar, Kalei Young, and Roman Corpuz - came across the message and music of two unassuming songsters, Kawai Hoe and Kiliona Young. They began to write and play music together later that year. This is their first release. "As true stewards of their culture, the songs they write and sing deliver penetrating messages of love and consciousness through their perspectives as Maoli (native Hawaiian) people," says Boom Gaspar of Kawai Hoe and Kiliona Young. "Coming together, we create a powerful sound with influences of funk, reggae, hip-hop, rock and soul. A sound that represents the forward movement of modern day Maoli music?.the sound of Po & the 4fathers." The tracks are "Kingdom Come" featuring Eddie Vedder on back up vocals and "Do Ya" featuring Stone Gossard on rhythm guitar. No new cities. These are all second shows added to cities already on the tour. It looks like there is no Ten Club seating for these shows. Sorry, folks! Check out the latest episode of The PJ Show.